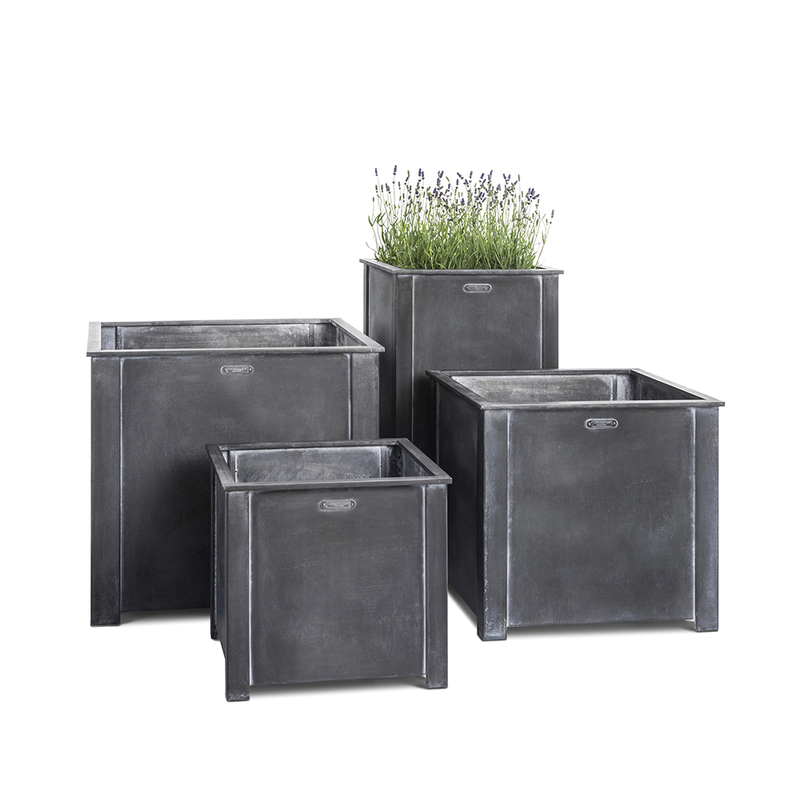 To add to our popular round metal planters at Garden Requisites, we’re excited to introduce a new zinc-galvanised, heavy duty troughs and square metal planters, thoughtfully designed, solidly crafted and very long lasting. Smart planters can really lift any style of garden design and early summer is an excellent time to add the finishing touches to formal and informal planting schemes. The full range of steel planters now gives real flexibility for eye-catching continuity in the garden. Mix round with square and new zinc-galvanized troughs too, complemented by our English wirework metal trellis and other stylish garden structures. Gardens come in many styles and genres, the majority employing key framework elements to control and support the organic architecture – plants, shrubs, trees – of each place. These key elements might be well-made garden trellis, arches, obelisks, even gazebos and it’s rare to find a garden without pots and planters. It’s important that each planting platform, whatever it is, is sturdy enough to last for many seasons and, in the UK particularly, in all weathers. For more formal gardens, properly placed planters can very effectively punctuate and pace a garden layout. Proportionally pleasing, they can set the scene either side of a path entrance, on border corners or at the end of a sight line, sometimes on pedestals or up steps, to draw a visitor in and along. Our lead-look designs are at home in heritage or contemporary garden settings too where the classic design complements both period and more modern architecture nearby. Garden Requisites’ metal planters are also weighty enough to hold small shrubs and trees – ideal for tender larger plants that need over-wintering in a greenhouse or conservatory. Do take a look at our topiary in planters pinterest board for more inspiration. Repeated simple topiary in planters can also be low maintenance as well as striking. In turn, seasonal planters can add strong colour accents, shape and movement to perennial beds and formal structures. As well as the very necessary bright fix of spring bulbs, for a lovely, blousy summer look, plant up with wildflower seeds or plug plants, playing with style, colour and texture, employing mixed and mono planting schemes. For such a seemingly simple object, John and the workshop team consider many details during the design and craft process – as well as a rim lip for easy lifting, the new planters come complete with a raised base to sit clear of standing water and drainage holes that are vital for healthy root systems. Our Bath workshop video gives a sense of the time and care taken in making our often bespoke metalwork. This level of workmanship is always a wise investment and, as well as serving a large community of discerning domestic customers, we’re also proud to supply some top garden designers, hotels and office-based businesses. See if you can spot our good work on your travels. If you have some question marks hanging over pots, planters, troughs and garden supports in your garden project plans this year, give us a call!